AEV’s HighMark Fender Flare Kit allows HD Ram owners the ability to comfortably fit a 40″ tall tire when used in conjunction with our 3″ DualSport Suspension System, Premium Front Bumper and 17×10 Katla wheels. 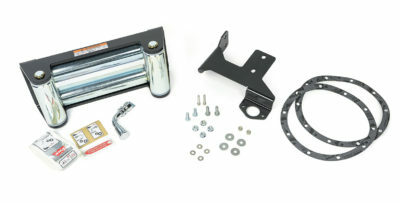 For customers who already own one or more of these products and wish to upgrade to a 40″ tall tire after pruchasing the AEV HighMark Fender Flare System, we have created an easy way to order all of the components necessary to make your existing AEV Front Bumper or AEV DualSport Suspension System 40″ tire compatible. Please Note: This is only for customers who already own the standard (37″ tire) configuration of one or more of these products. 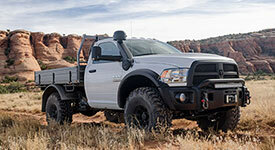 These are not complete products – only the necessary components to allow the fitment of a 40″ tire when used in conjunction with AEV’s HighMark Fender Flares.